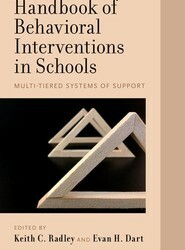 This book is a complete guide to establishing a multi-tiered system of supports to address student behavior in the classroom and other school settings. The book will walk trainees and practitioners through the entire process of assessment of problem behaviors to intervention and progress monitoring. Parents who discover a teen's self-injurious behavior are gripped by uncertainty and flooded with questions - Why is my child doing this? Is this a suicide attempt? What did I do wrong? What can I do to stop it? And yet basic educational resources for parents with self-injuring children are sorely lacking. Healing after Self-Injury provides desperately-needed guidance to parents and others who love a young person struggling with self-injury. 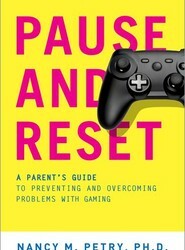 Pause and Reset is aimed at parents concerned about the role of gaming in their children's lives. In this informative, reader-friendly book, addiction expert Dr. Nancy Petry sheds light on what constitutes problematic video gaming and what does not, how to determine whether a child, adolescent or young adult may be <"addicted>" to gaming or developing problems with it, and when to seek professional help. Using Basic Personality Research to Inform the Personality Disorders will present the work of prominent thinkers at the intersections of social, personality, developmental, and clinical psychology to consider theoretical and empirical issues relevant to how basic personality research can inform the scientific understanding of personality pathology. Surveying cutting-edge research on the science of basic personality and demonstrating how these ideas and methods can be applied to the conceptualization of pathology, the book first provides a historical overview, followed by an account of the current state of the personality disorder literature. Community Power and Empowerment synthesizes research and practice on the topics of community power and empowerment, and by doing so address key questions in the practice community psychology and related fields. The first section of the book will provide foundational information on community power and empowerment; the second, roles played by human development and organizational development in social change, and how empowerment relates to health. The book guides readers in designing empowering practices and interventions, as well as programs of research and evaluation. Jeffrey Barnett and Jeffrey Zimmerman share practical advice based on their decades of clinical experience to address common myths about private practice in an easily accessible manner. Myths addressed fall into the broad areas of preparing for private practice, building your practice, managing your practice, documentation and record keeping, and ethical practice. Each chapter addresses a specific myth that may be held, describes the myth, explains why the myth exists, and then offers specific guidance for moving beyond the myth. In addition to the specific recommendations and strategies provided in each chapter, each section offers a list of key resources available for additional guidance and support. 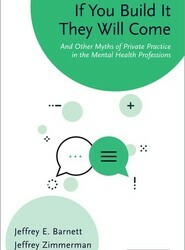 Developments in mental health activism pose a radical challenge to psychiatric and societal understandings of madness. Mad Pride and mad-positive activism reject the language of mental 'illness' and 'disorder' and demand recognition of madness as grounds for identity. This book examines and responds to the claims and demands of Mad activism. While psychoanalysis is often equated with Freud, this comparison ignores the wide range of practices, methods, theories, and cross-pollinations with other disciplines that characterise psychoanalytic work. 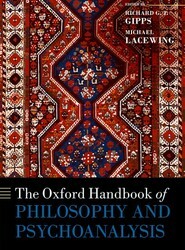 In this landmark book, leading researchers provide an overview of current thinking at the interface of philosophy and psychoanalysis. Authoritative and evidence-based guidance on working with the victims of domestic violence.